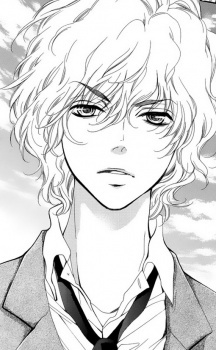 Naoji Dougen is the intelligent and apathetic son of Aidane High School's chairman and the leader that controls the school. He takes pleasure out bullying students, leaving a majority of the students in fear. Because of him, many low-performing students were bullied until they didn't come to school anymore. After meeting with Tarou and Hanako, he decides to abolish the rules, claiming he wants to see the school's precepts in action since he doesn't believe in them. He offers to tell Hanako about the "real Aidane High School."